The Saronic Gulf Islands stretch over a hundred nautical miles and you can easily plan out a grand sailing getaway on these islands during a weekend. 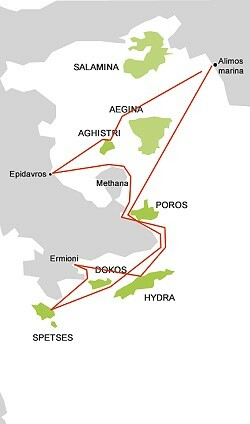 The islands spread over 133.4 km² and you get to visit Hydra, Poros and Spetses. This will be one fantastic sailing trip in Greece that you will remember for the rest of your days! 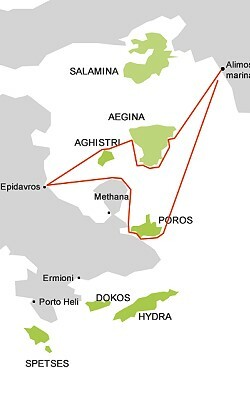 The islands are easily accessible from Athens’ marinas. As the islands are situated at a close proximity to Athens, the Athenians spend much time on these islands as they visit them by ferries. The western part of the Saronic Coast is generally mountainous. A ridge runs parallel to the shores and rises to over hundred metres near the Methana Peninsula. The Saronic Islands have played a significant role in the history of Greece, particularly in its war for independence from the Turks. Famous personalities from these regions include Lady Laskarina Bouboulina and Admiral Constantine Kanaris. They were heroic personalities. During the eighteenth century, Arvanties took refuge in these islands during the conquest of the Turks and the expulsion of the Peloponnese from Venice. They wanted to avoid Turkish persecution. They were mainly responsible in the creating old villages of Spetses Island. They fortified the place by building a wall which reinforced natural protection that was already offered by the terrain in this area. Spetses was the first Greek Island which raised the Revolutionary Flag in April 1821. Its naval fleet which included mostly merchant ships played a major role in the struggle against the Turkish Coast raids. It also prevented the Ottoman Navy from resupplying their garrisons from the Asian provinces of the Turks. Admiral Kanaris played a courageous part in this prevention. A fistiki (pistachio) traid fair which takes place in the Aegina island every autumn, attracting around 22000 visitors. Spetses Island has become popular for the `Armata’ Festival that is celebrated every September. It marks the battle that took place in these straits between the islanders and Kosta during the 1821 revolution. Local boat builders start their work early in August every year and construct a huge wooden boat that is used in the form of an effigy of an ancient Turkish boat. There are several museums on each of these four islands that can provide sailors and visitors with valuable information and exhibits to give a glimpse of the illustrious history of this place. You can visit the Hydra Monastery and the Ecclesiastical Museum of the Cathedral in Hydra. Aegina is also an island that offers mythical traditions and a history which can go back to the Neolithic period. There are numerous ancient sites to be found here that enrich the heritage through the museums. An important place to visit is the Archaeological Museum. This was the very first museum which was built in Greece. Dokos has become famous as an archaeological park. You can find the oldest known shipwreck to man at this place. It dates back to almost four thousand years. Some of the relics have been removed from here and placed in the museums in Spetses. The Bouboulina Museum offers the story of Laskarina Bouboulina, who was a famous heroine of the independence movement in Greece. As to the sailing? What can be more fun than island hopping at your own pace away from the strict itineraries of ferries and public transport? It may only be a few hours between departure and destination so you can leave when you feel ready and enjoy the journey as much as arrival. Some of the anchorages are challenging and others are extremely busy (so an early afternoon arrival may be necessary), while others are some of the best in Europe. 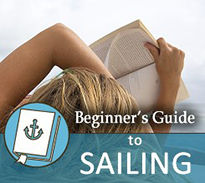 You will find favourable conditions for sailing as winds range between 2bf-4bf for your voyage. You are likely to experience higher waves only when the winds blow from the South. 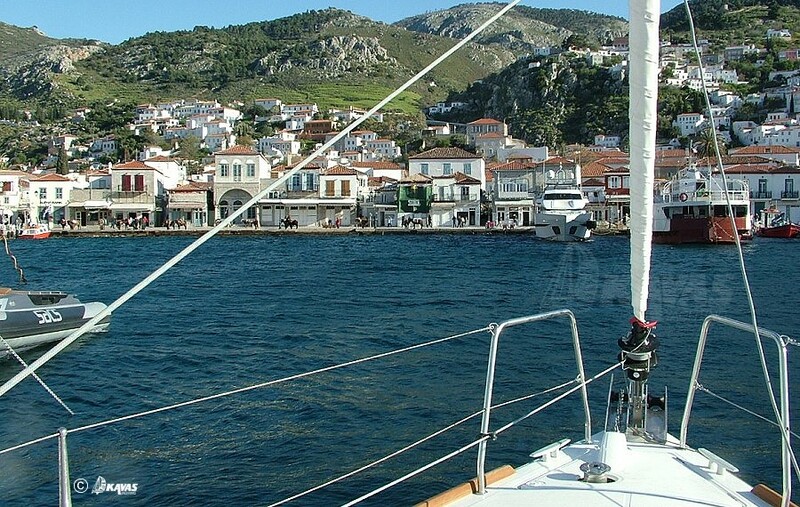 Sailors love to stop over at Hydra when they start sailing from the marina at Athens. Sailors abound in its cafes and bars. Aegina is also popular for those orange cupola hues at its harbour. Many catamarans and hydrofoils berth generally on its quay within the harbour’s entrance. The marina at Spetses offers a great sight of mingling of both super and standard yachts. The harbour is a little hard to spot from a distance when you are sailing along the coast. The island of Hydra is recessed in to the coastline. You have to keep an eye out for the several ferries, yachts and other vessels that head in to and out of this island. Fast catamarans and hydrofoils will berth on its quay just within the entrance of the harbour, on the left side when you enter. When you leave, you have to remember that they reverse out that harbour and turn around, outside. Getting in to this island is easy. You will see the hydrofoils and the ferries going out and in. You have to be careful of these hydrofoils as they reverse out of the harbour. If you are coming from the South, you also have to be careful of the reef which runs across to Agistri. It offers a perfect anchorage for sailors who are looking for relaxation and total isolation during their getaway. To the north, the bay of Skintos offers shelter from all winds and is ideal for an overnight stay. 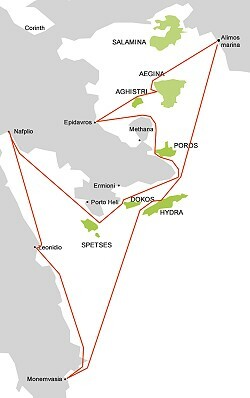 Sailors will be able to moor in a couple of ports here - One in the Old Port at Baltiza and the other in Dapia. You will find ferry boats, sea taxis and flying dolphins in Dapia. It serves both passenger and cargo ships along with other tourist boats. In the old Port at Baltiza, you will come across many private yachts moored there, ranging from cruisers to large yachts. They anchor by tying long headland on its coast. The mooring fees will range between two and three Euros every day. Remember to carry the documents of charter when you take your boat/yacht into the ports. All the year round, sailors will come across organisation of many offshore races. They are held on 25th March in Hydra, 30th March in Poros, in the month of June the "Black Goat" and in September in Lagouses island. You can participate and contribute in these exciting races, provided you are in time to get in touch with the respective crews. Saronic Islands are a safe place to sail to. You will find the sea easy. The islands are located close to each other and there are no incidents of crime reported from these places that may affect your sailing experience. 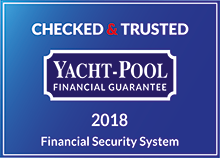 Another great safety factor is that when you sail from the yacht bases of Athens, you will go downwind through Poros and it makes for an enjoyable and an easier sail on the return voyage. 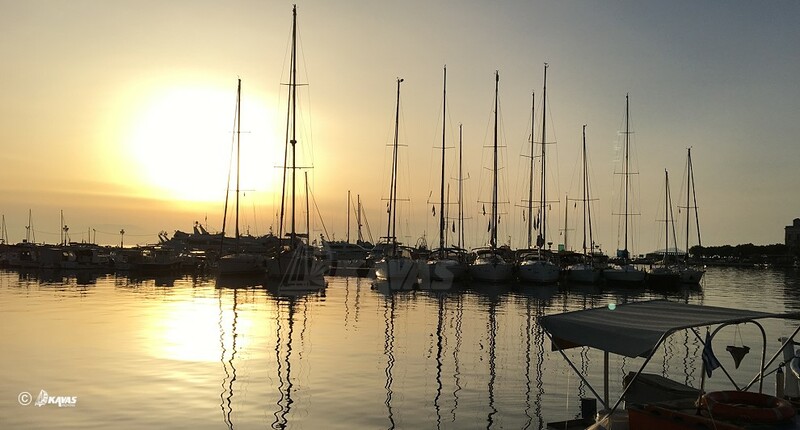 Berthing your sailing boats or yachts to the docks of the Saronic Gulf Islands will not be a major issue as there are no cases of crimes reported in this region against sailors or their boats. It is wiser on your part as a sailor not to spend much time in the night in deserted bays. A typical day for people sailing into the Saronic islands may start with a refreshing and stimulating morning cup of coffee. You can then take a leisurely walk and take exciting pictures in the narrow streets and alleys on these islands. You can keep some part of the day to learn about this place through a visit to their museums. Lunch could be had in local taverns and sailors who love seafood and Greek salads will have a field day. Ouzo dish is a must-have for sailors visiting Greece. You can shop for mementoes and souvenirs as these places are perfect for doing some shopping. During the evenings, you can have a refreshing drink under the starry Greek night skies. One of the most beautiful islands on the Saronic Gulf, and home to the annual four day Fistiki (pistachio nut) festival in September, Aegina is just a short hop from the mainland and Athens. With a mix of good nightlife and great beaches, this is a very good stop on your way out into the region by sea. While the main anchorage in Aegina town is poor, you should try Aghia Marina, Perdika or Vathia and explore the island from there. Port authority phone: 22970 22272. Perdika: The bay is an attractive place! Get here early and take some time off for a walk around the village and a beer on the seafront! Good tavernas on the waterfront, some of which specialize in seafood! This is a short hop from Aegina, and may be visited as an alternative to Aegina or as part of a two island day while you select your favourite spot to stop for the evening. The sailor should beware of the shallow waters that can make for safe bathing for children but can be a headache for navigation! Skala is the main town on the island, but for those seeking a quieter time they can head for Milos (Megalochori). At the 2011 national Census, Dokos had a population of 13 people, mostly Orthodox monks and shepherds. Virtually uninhabited, this is a great place to chill out, perhaps after a hard few days of partying. Just off the coast is the site of what is widely reckoned to be the oldest known shipwreck in the world, that dates back to around 2700 BC. The sailor should note that there is no water on the island for yachts so you should have a good supply before you visit. Locals say that if you are visiting the Saronic Gulf you should definitely stop by in Hydra! It is about thirty-five miles away from Athens. There are no cars on the island though this is more than offset by its popularity among tourists as a must see in the region. Hydra Town has some of the best tavernas in the region, as well as museums, jewellery shops and narrow streets you can explore at your leisure on foot. The famous and the rich come to this island to spend their holidays. For those seeking peace and quiet, head to Mandraki Bay where the sole taverna is also the only shop. While this has a rich history and can be fun, locals in the region rate this as an ‘average’ destination. It is notable for playing an important part in the 1821 War of Independence and in September one will see the re-enactment of a famous sea battle that took place just off the coast. Spetses is also famous for its athletics, and in April holds an athletics competition. A very good place to rest and recover, Palaia Epidavros is a fishing village with some fantastic seafood to be had at the local tavernas. This town on the Peloponnese mainland is on a peninsula hand has sea on three sides. There are three main parts to the town - the commercial port of Limani, Mandrakia with its buzzing nightlife and the thoroughly chilled out Bisti where one can snorkel, enjoy the archaeology and pine forest. The further you walk up the beach from Paralios Astros, the further from the rush and bustle of civilisation you get. It will be a long walk too - the beach is 10km long and you can totally escape your fellow tourists by walking as far as you feel comfortable! You will see Monemvasia long before you arrive, with its large rock just offshore where the medieval village of the same name lies. Linked by bridge to the mainland where the new town lies, there is an obvious choice for those who seek modern or older culture. Do you want to visit ancient Orthodox churches? Wander around the medieval town. Want to party til dawn? Drop into the new town and enjoy the modern tavernas, and cafes where you can taste the best of the local food. While one can enjoy the beaches and fine food of the main town of Kithira, it would be a shame to miss the ancient roots of the town. You should definitely visit the caves of Chousti where there have been traces of mankind as far back as 5000 BC. There are also Minoan tombs at Paleopoli and the Byzantine city of Paleochora. It covers the Saronic Gulf islands as well as the Cyclades islands area.